Obviously a Winners’ Trophy to be proud of! 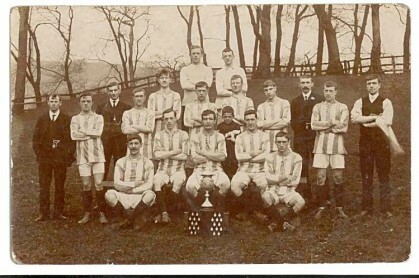 The young lad standing amongst the team players is my Dad, Ronald Halstead. 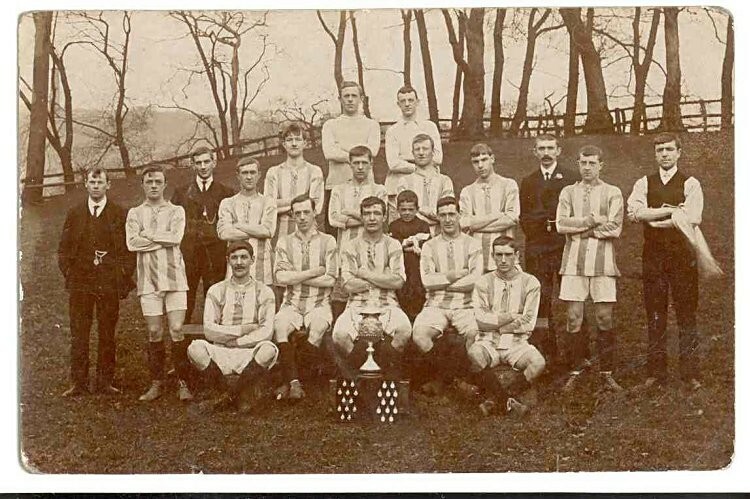 The man, with moustache, standing suited towards the right is probably Ronald’s father, Varley Halstead. Varley was a Tackler. Q. Can you name the team players? Q. Can you name the other men?